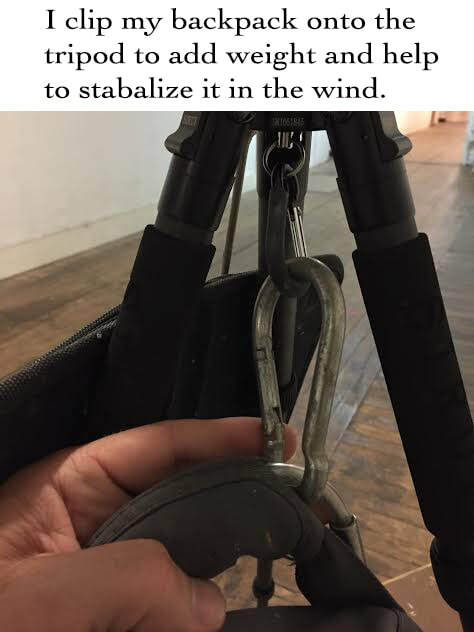 Think lightweight & hands free as possible. Your gear should fit your needs. 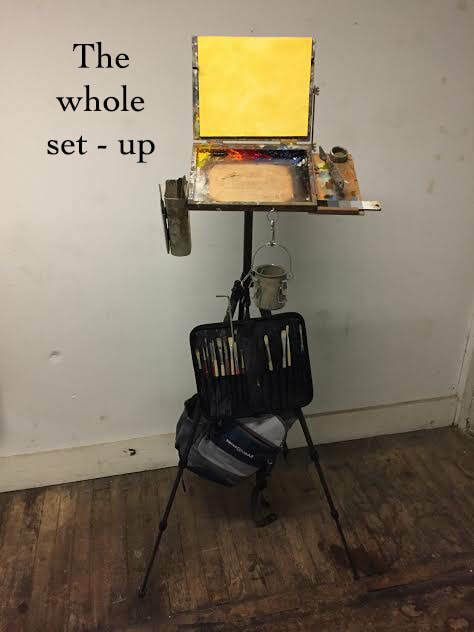 This kit is for small paintings 5x7" up to 9x12". Its lightweight, ideal for mobility, hiking and accessing hard to reach places. 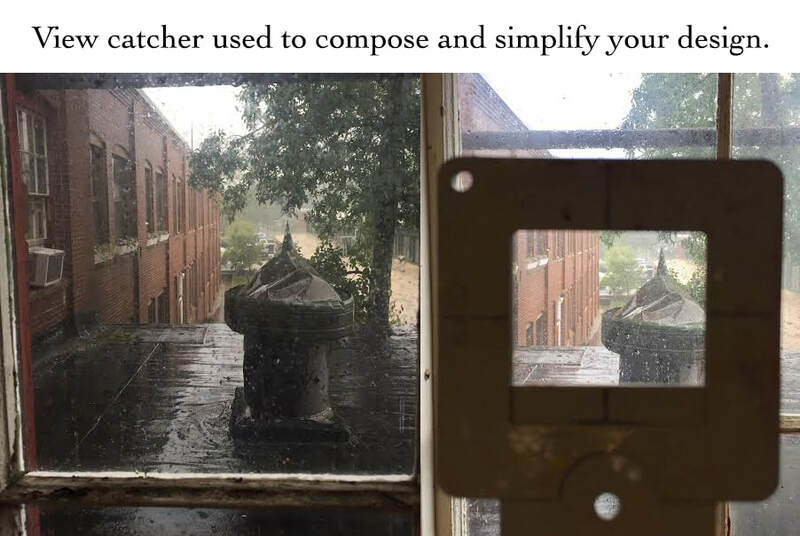 Excellent for workshops and all around versatility. 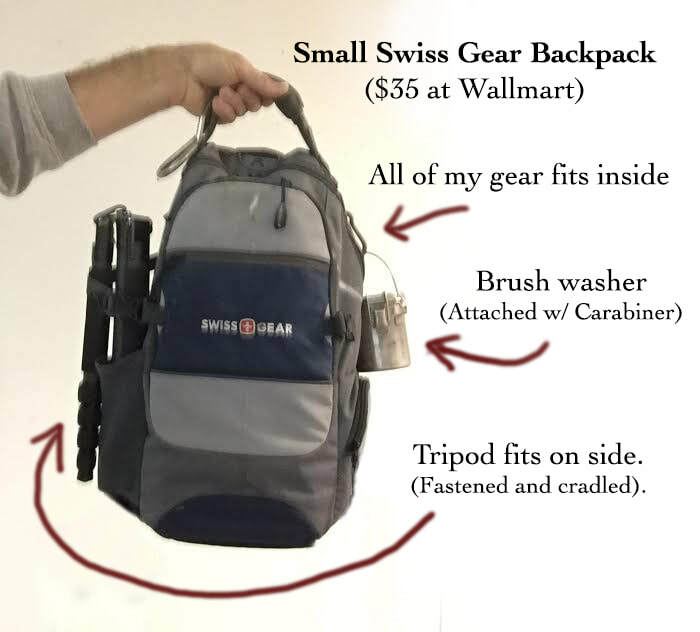 ** TIP ** Bring your pochade box into Wallmart and test drive a selection of backpacks to find the best fit for you. 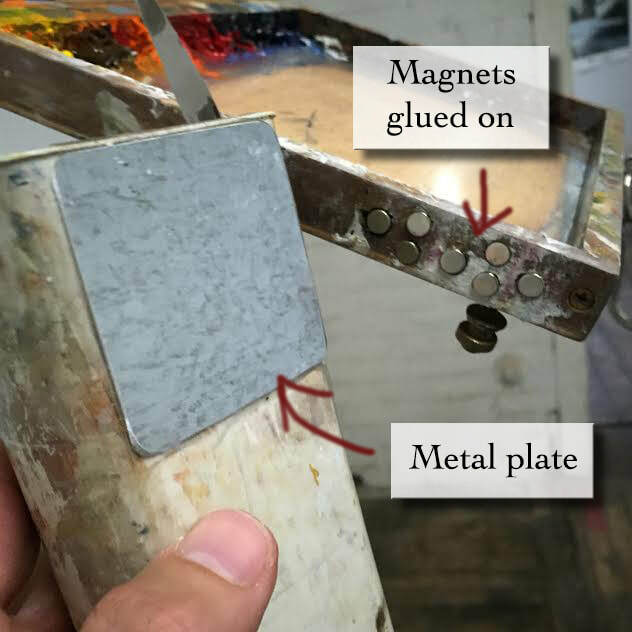 POCHADE or PALETTE / PANEL HOLDER. There are many excellent pochade boxes that attach to tripods. Like a lot of painters, I have way too many and love all the gear. Open Box M. works for me when I want to paint small and prefer a lightweight, portable kit. This is the 8x10" model and allows for panels between (5x7") and (11x14"). I paid about $225. 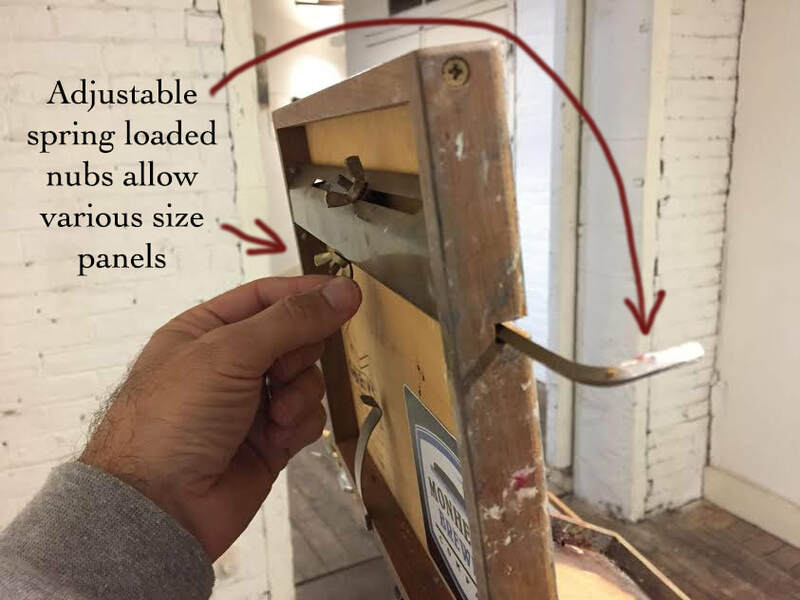 They make larger Palette / Panel holders to accommodate larger size canvas if you prefer. Again, get the gear thats appropriate for your intentions. ​Google any of these and shop around. Try Amazon, Ebay and their respective websites. Workshops are great environments to see what others are using and test drive the equipment and see it with your own eyes. The gear I use today took years of seeing what other artist were using and trying things out for myself. It takes some trial but it's fun exploring all the options. Yes, your credit card will burst into flames but it's so much fun. ​* I will share with you the colors I use below but you should know that after years of experimenting with palettes, I have concluded that as long as you can make the color wheel with your paints, you're colors are perfectly suitable. * Minimally, you only need the three primary colors plus white to make a color wheel; Red, Yellow and Blue. Anders Zorn used this palette with great success. The most commonly used palette is the Split Primary palette. It includes a warm and cool version of each of the three primaries...plus white. * Color is a personal choice. Our unique matrix makes one color more emotive to us over another. "Viva la difference". So, if you prefer Alizeran over Quinacridone Red, thats fine, the important thing is to have a cool red amongst your palette. * Go lightweight, bring only what you need. Half tubes from the studio are ideal to use in your Plein air kit. 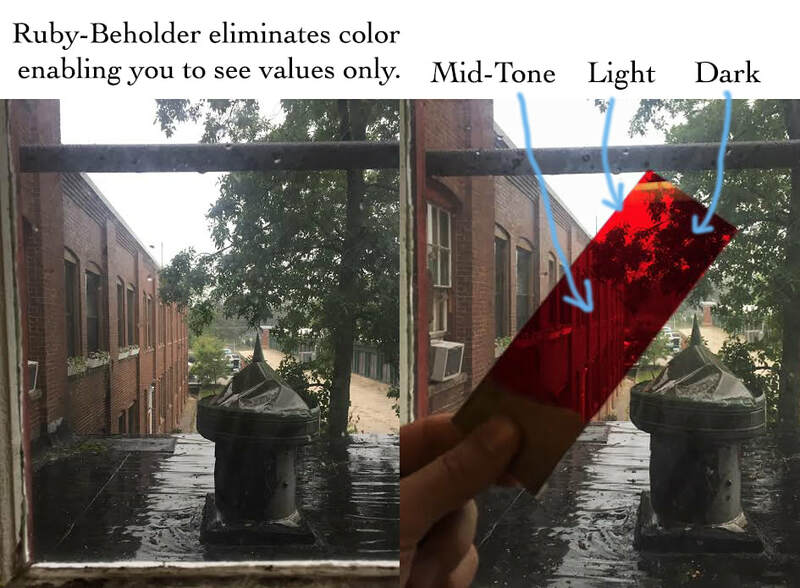 * Use professional grade colors. ​* There are many excellent brands, I prefer Williamsburg, Gambin and Winsor Newton and will mix and match. 11) Burnt Sienna *(Pretty much does the same thing as Transparent Red Oxide but I like to experiment with various earth colors occasionally). *(Although I prefer to mix my greens using Ultra marine Blue and Cad Yellow Medium, I will sometimes reach for one of these above greens to accent). *(This is the whitest white. I use it at the end of paintings to accent or to get a pop in contrast). ​*(Liquin is a quick dry, Alkyd resin medium used to add to paint to make it dry quicker. I tube it myself and bring only what I need. I use it on rare occasions but have it as a luxury extra). 4) Filbert bristle brush. Robert Simmons Signet series 40F. 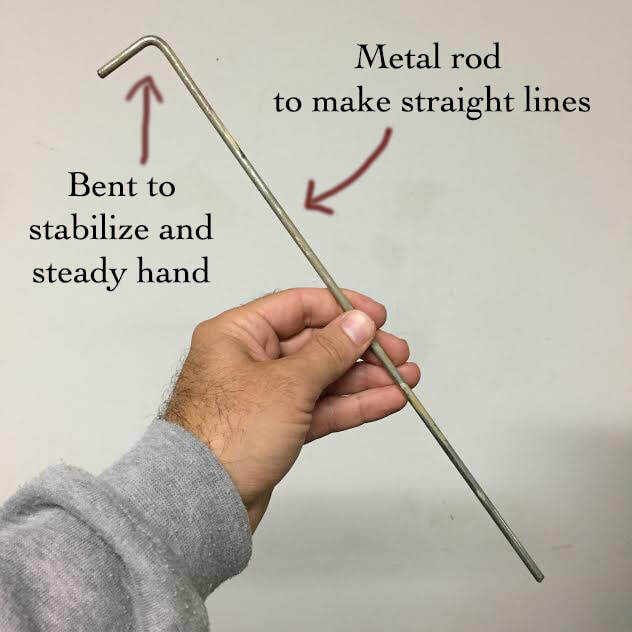 Primary painting tool. varied marks and expressive strokes. (Size 6 or 8). 5) Flat bristle brush. Robert Simmons Signet series 40F. Primary painting tool, varied marks, expressive and straight, chiseled marks. * Brushes are as personal as paint colors. Experiment with a variety of shapes and hairs...Large, medium and small. 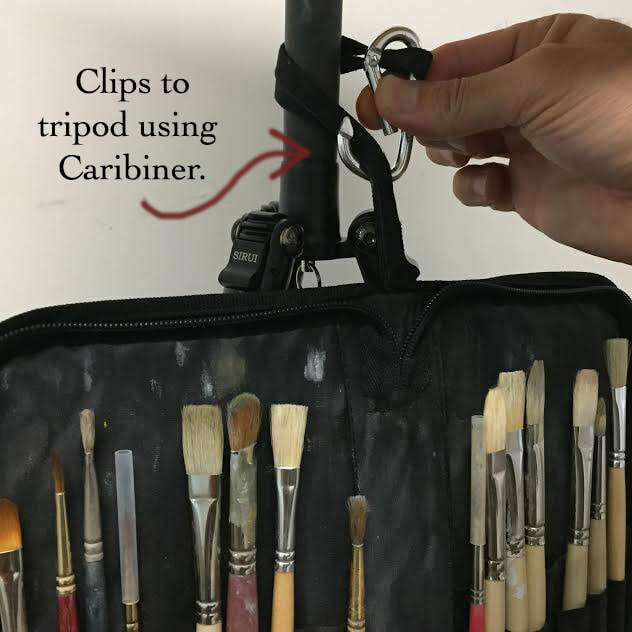 * I use about 3 - 5 brushes per painting. ​* Ultimately, it comes down to sensitivity of touch, how much you load the brush, etc...Experiment. 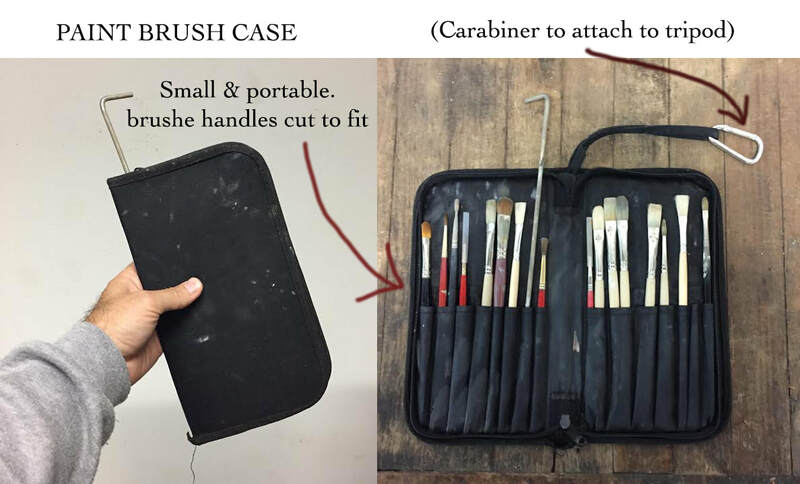 ​* Don't bring old, hard crusty brushes. Toss them. Spend the money here and get good quality bristle brushes. * I use this to clean brushes only. I use Gamsol in an additional palette cup to paint with, keeping the two separate. *Brush washer is with GAMSOL, Oderless mineral spirits. 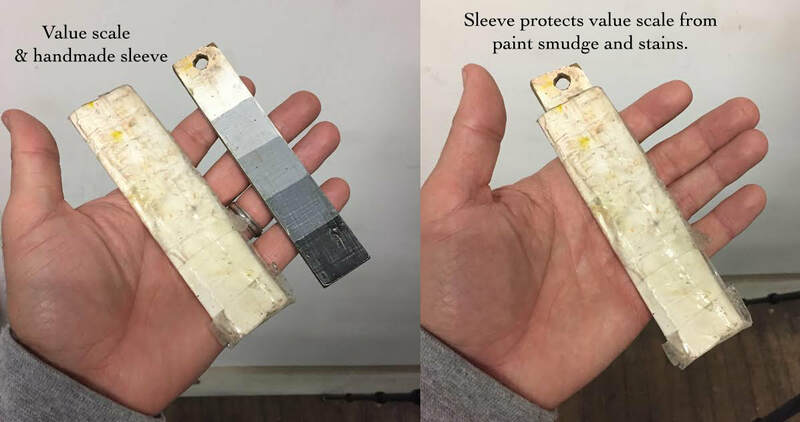 **TIP** Rather than swoosh a dirty brush in the washer and dirty the Gamsol, instead, pull as much color off the brush as you can with a towel or rag. 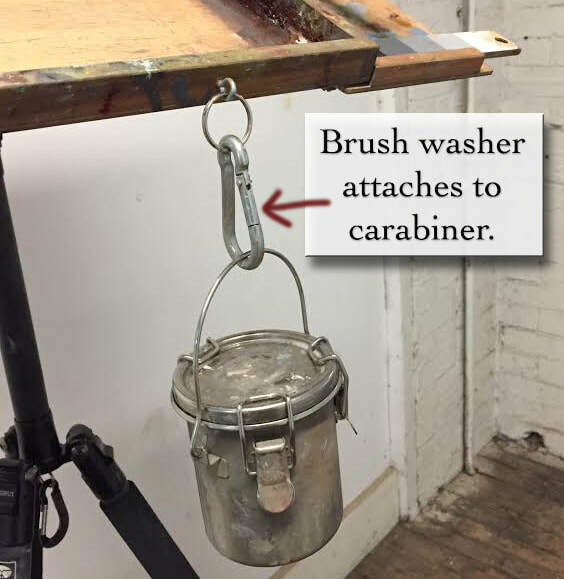 Then dip your brush quickly in and out of the Gamsol. Just enough to wet the brush, then pull the remaining paint residue off the brush with rag or towel. Repeat until brush is clean. This will keep your Gamsol as uncontaminated as possible.